Making new friends is best done in groups. Let’s leave the one-on-one meetups for dating. GroupMeet is the first app that connects swiping with friend groups. 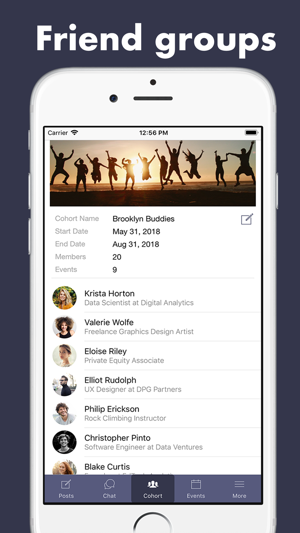 Swipe to pick who you want to hang out with, and you’ll get matched into friend groups, each having 5 people. GroupMeet has been featured on DailyTechTrends, Nerdoholic, iPhoneglance, Tehnico, Intellectuapp, Hightechholic, TechVirtous, and others. Also, it was awarded App of the Month (Aug 2018) on Technico and App of the Week (Sept 2018) on Intellectuapp. 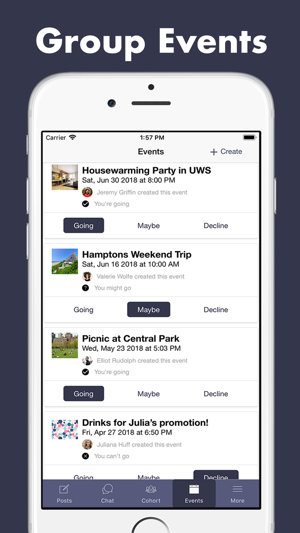 With GroupMeet, you’ll be able to group chat with your new friend groups and also go to real life events like parties, dinners, and meetups. Have fun and develop meaningful friendships in real life with GroupMeet! Tired of trying to make new friends with awkward one-on-one chats? With GroupMeet, finding friends and making new connections have never been easier with our innovative group matching approach. 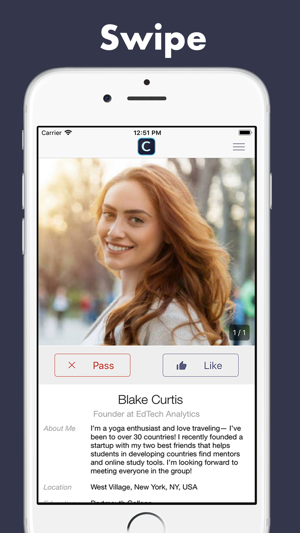 After signing up, you'll swipe and pick other nearby users that you want in your friend group. You'll be matched into groups consisting of 5 people each. Each group lasts for 3 months, enough time to meetup, go to events together, and develop meaningful friendships. Meet people in your area who you’ll actually connect in a real way. 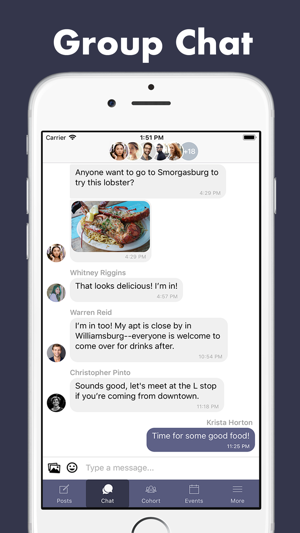 You'll be able to group chat, share pictures, and meetup with your friend groups. Want to get know your new friends better? Host a party or propose an activity to meet in real life. 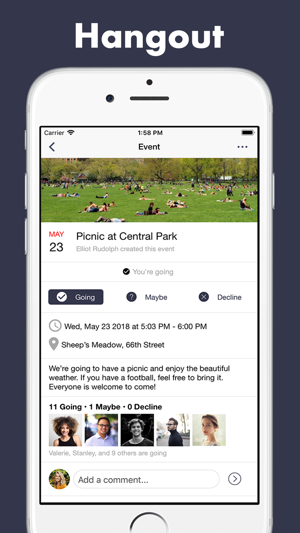 GroupMeet helps you schedule and plan fun activities to do with your new friend group. Move that digital friendship to one in IRL. GroupMeet uses sophisticated matching algorithms to build compatible, diverse, and fun groups. We’ve discovered what make friend groups work, and use our innovative technology to build the most compatible groups. Beyond shared interests, there are dozens of factors that impact how meaningful friendship develop. We’ve taken this technology to the next level to help you build your social group and meet people in real life. Besides offering features to meet new people and make new friends, GroupMeet is a social app as well. 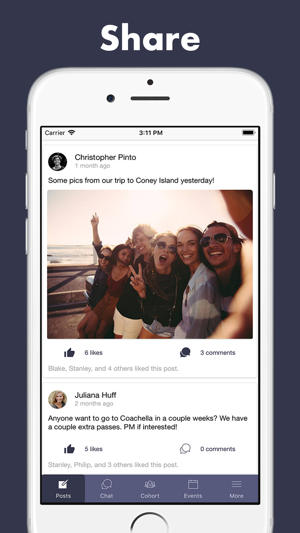 It enables you to share photos and status updates with your group. Share photos of moments where you had fun with your new group of friends. Entertain, excite, and connect with GroupMeet. GroupMeet is a unique social app to meet people nearby and make friends. Download the app and become part of the GroupMeet global family! We regularly update GroupMeet to provide you with the best experience possible. Please provide us feedback and let us know how we can improve by emailing us at contact@cohortapp.co. New in 2.7: bug fixes, improved UI responsiveness, and profile updates. I can honestly see this app blowing app. UI is super friendly and there's cool people on the app. It needs more users but if you get your marketing right it could get big. I've found a couple of bugs and crashed once but other than that it's well built. Hopefully I'll have many best friends after three months. it is always tough to find more than 2 or 3 people who get along and potentially become friends. But the app somehow has able to acheive that because in the group that i am in, all of us are huge A.r.rahman fans and the entire chat on the first day we spent geeking out about his music. This connected us like nothing could ever have. after college, it has always been difficult for me to make new friends and form connections like I did before. But with the help of the app, I've been inteeracting with people who have a lot of similar intrests and the experience has beenery fascinating. Heya: place eggs in AR!